I was enjoying a couple of days in the beautiful forests of the Veluwe in the Netherlands. The morning light on this late Summer’s day was still warm on my face. I loved how the light played with the foliage. 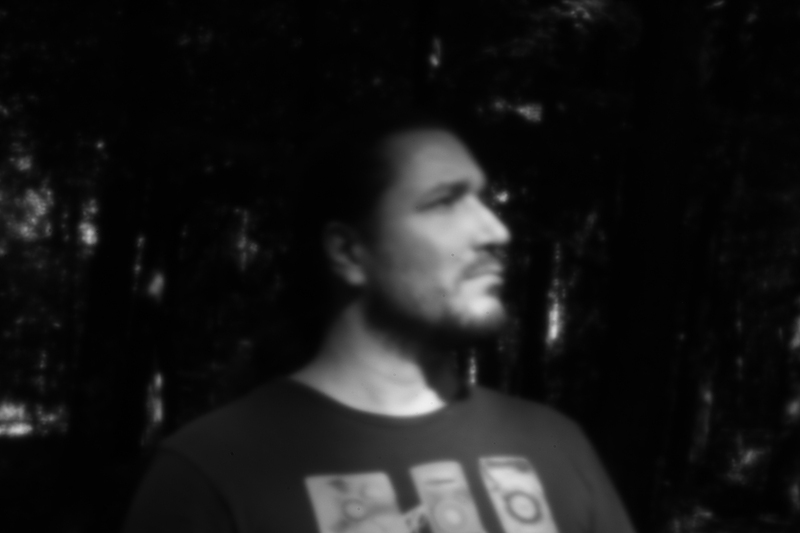 I decided to play around with my new pinhole lens and make a series of black and white self portraits with remote control. You can really play with light and dark. The picture revolves around the structures and shapes, shadows become more prominent than details, subtly highlighting my face.